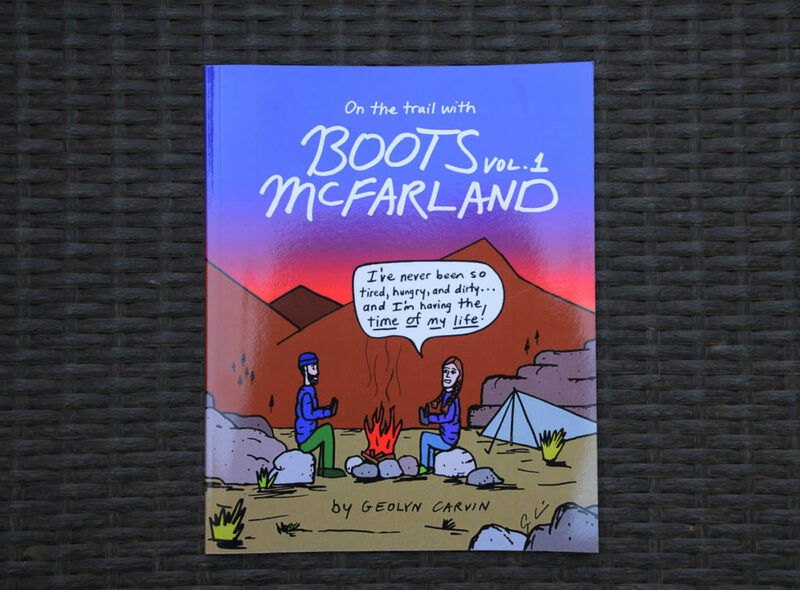 I’ve been following the adventures of Boots McFarland, known in the real world as Geolyn Carvin, for a number of years. Up until last year I had to get my fix from her semi regular posts on Facebook or Instagram was pleasantly surprised when she released the book On the Trail with Boots McFarland Vol 1 which provided me with a concentrated fix. Geolyn started drawing these cartoons in 2003 and over the years the drawings have developed but at the same time still retaining a simplistic style that I have come to love. These cartoons are graphic representations of life on the trail as see by ‘Boots McFarland’ and I find that I can relate to many of them. Without a doubt one of my favourites is from 2015 titled “Part II” on trip planning which is very representative of the way that I plan most of my hikes. There are so many other drawings that I come away thinking ‘been there’. 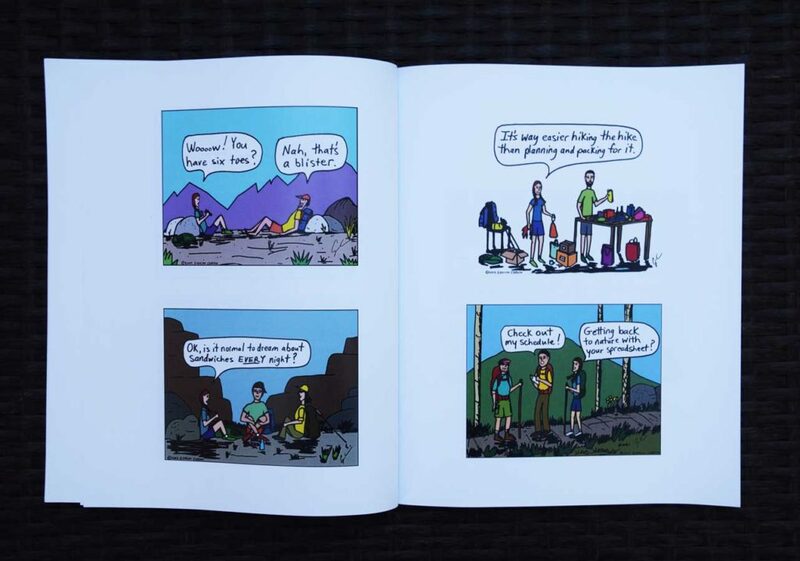 This book is 36 pages long contains single and multi panel cartoons as well as a few thoughts from her section hike on the Pacific Crest Trail undertaken between 2002-2014. Sold as volume 1, which I guess means that volume two is in the works, you can purchase this book through Amazon Australia, and Amazon USA (which also ships to Australia). This would make a great present for that hiker in your life that has everything. The US price is much cheaper so depending on the exchange rate and postage may be a more favourable option.